IN the run up to the Lok Sabha polls 2019, for the main political parties, Congress, BJP and INLD, it is six degrees of desperation. It is probably a now or never-know-when situation for these political outfits. The breakaway of INLD—Jannayak Janta Party—and AAP are at a nascent stage. Historically, the Congress, Haryana Vikas Party of Bansi Lal, and the Lok Dal founded by Devi Lal later renamed INLD by Om Prakash Chautala ruled the state for close to four decades. BJP always played the younger political sibling of INLD till as late as a decade ago, largely due to the neglect of its own leaders like Sushma Swaraj, who were too ambitious to helm Haryana. But all of it changed in 2010. Om Prakash Chautala and his elder son Ajay Chautala were jailed in the teacher’s recruitment scam case. Somewhere around that time, an indecisive and weak Congress won the assembly elections for the second consecutive time. INLD were reduced to single digit. It seemed Congress was the numerouno of Haryana politics with CM and half-a-dozen of his minister colleagues representing the majority Jat community. But it didn’t stay that way for long. In 2012, Narendra Modi started projecting himself as the potential PM candidate. And within a month of Modi projecting himself as future PM, the Haryana BJP started looking a more appealing party. CM Manohar Lal Khattar and PM Modi share their friendship from RSS days. Khattar is a frugal man, who was often seen riding a scooter and is known for his simplicity. In the 2014 Vidhan Sabha polls, BJP shocked everybody winning 47 seats, 43 more than the last elections. In the Lok Sabha polls they won 7 of the 10 seats. Their Vidhan Sabha polls win was a by-product of the Modi magic. But recently, Modi’s appeal did go down, and Haryana BJP too floundered a bit. However, the Balakot strikes subsequent to the Pulwama attacks turned it around. BJP, it seems, has suddenly come out of the crisis it was facing till about three months ago. But it is still a tough battle. And thus we will address the question we raised at the very outset: Why is it a do or die battle for BJP, Congress and the INLD? Here is the reason. 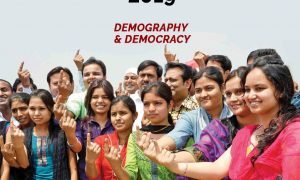 In Haryana, BJP is synonymous with Modi and if BJP does not form the government at the Centre, it will have to content with where it belonged to pre-2014 in Haryana, a marginal player. For the Congress too, it is much about the same. A loss in the Lok Sabha polls would definitely reflect on the assembly elections. 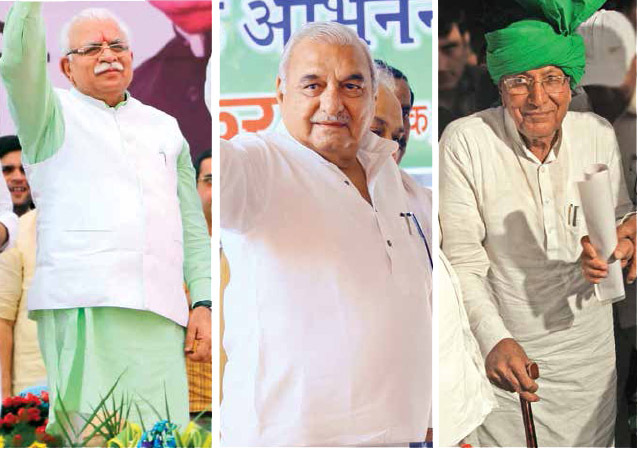 Haryana Congress has seen a lot of factionalism and leaders leaving the party. 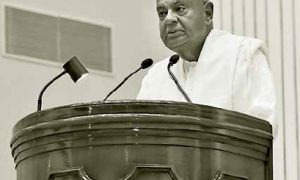 It remained in power for 10 years from 2005 to 2014 but that was largely due to the fact that two of the INLD leaders were in jail and the INLD was in disarray. INLD still is where it was. Chautala is in jail, has been out of power for 15 years and a recent family feud, many say, a creation of outside forces means he will have to begin afresh. 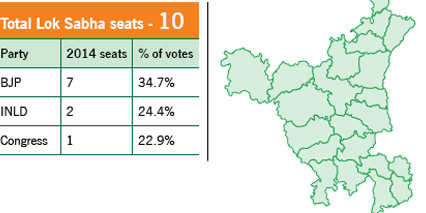 INLD does not seem to be in the reckoning at all on any of the seats. JJP is in its nascent stage and AAP is no different. Like the other two bordering states, here too candidates and not issues are in focus, both for the voters and political parties. 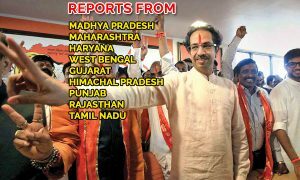 Till the filing of this report, Congress had still not announced all its candidates while BJP had announced eight names. JJP and AAP’s candidates will depend on the alliance, if at all, with the Congress party. There is certainly a delay in choosing the candidates, but that delay stems from fear and desperation. After all, it is a do or die battle.